‘Likes’ on social media are a currency of sort with people and brands alike. Having a huge amount of followers is considered tantamount to success. But is it really? Is there more to social media than we see on the surface or is it just a game of numbers, customer’s whims and constantly changing trends? Engaged customers frequent their favourite casual dining restaurants 56% more per month than actively disengaged customers. Engaged customers are 28% more likely to visit their favourite fast food restaurants every month than actively disengaged customers. Engaged hotel guests spend 46% more per year than actively disengaged guests. Social media has changed the face of advertising. Video content is currently the most engaging content format on social media. According to Cisco, video will make up 80% of consumer online traffic by 2020. 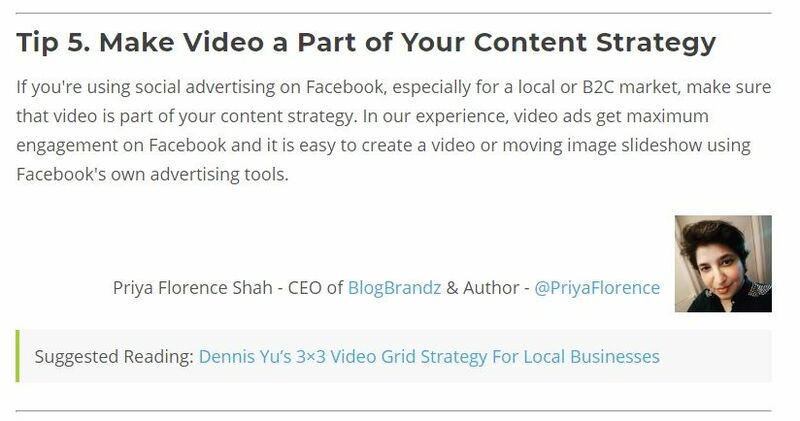 Mark Zuckerberg sees video “as a megatrend on the same order as mobile.” Even written blog posts should have an embedded video version, according to Mark Traphagen. Just consider some of these social media video content stats. What’s my #1 tip for social media marketing in 2017? Create more video content! And I’m not the only social media expert who thinks so. 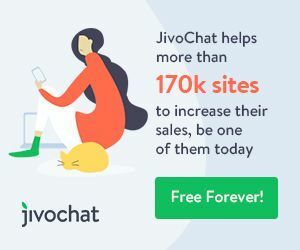 You’ll find this and more in this expert roundup of 28 tips contributed by are some of the world’s top social media marketing pros, who have a major following on social media, with millions of followers across numerous social media channels. 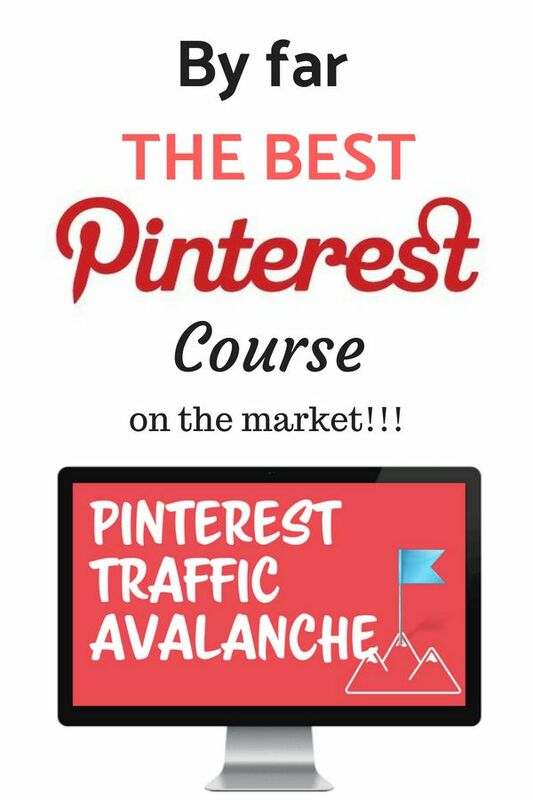 Many of them are recognized as the go-to sources for social media marketing tips. 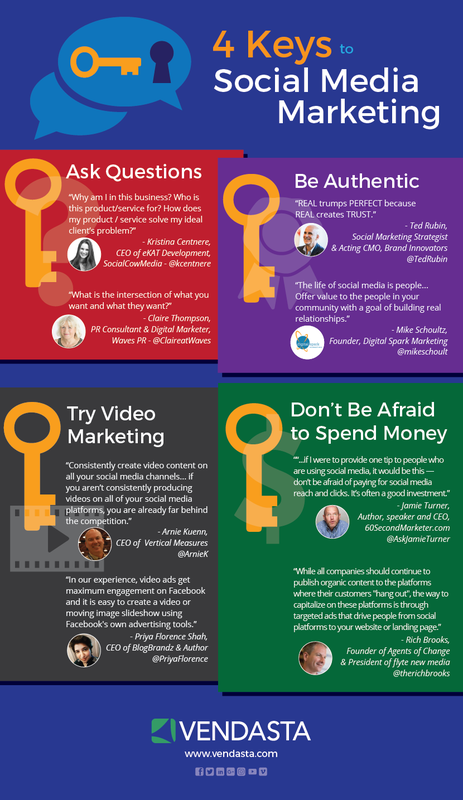 Read the complete article, 28 Social Media Marketing Tips: The Expert Roundup, by Zachary Yuzdepski on the Vendasta blog, and view my tip on video marketing in the 4 Keys to Social Media Marketing infographic below.